Milan based collective Just This present the ‘Enter The Block’ EP from label mainstays Hunter/Game due November 2nd as a digital-only release. Featured in this five-track package are two remixes from Cassegrain and Amandra. Title track is a minimalist roller featuring subtle acid inflections and a pointillist melody. For their remix, Cassegrain morph the unfurling hypnotism of the original into something more twisted, punctuating its cyclic nature with drawn out tones and frenetic rhythms. ‘Second Floor’ is an exercise in restraint, slowly building around one motif that swirls in and out of focus above stripped back percussion. Amandra provides an unexpectedly angular interpretation for his remix, repurposing the original into a molecular structure of atonal textures driven forwards by marching percussion. Closing off the EP, ‘Explore’ revolves around a tiny, glistening melody, teetering on the edge of something bigger in a way that builds a brooding tension. After releasing their debut full length Album on Kompakt last year, Hunter/Game return to Just This with another immersive offering. On the ‘Dead Soul EP’ the duo continue to refine their expressive yet subtly arranged sound. The title track unfolds slowly, sculpting the melody, texture and suspense. Joey Anderson’s take on ‘Dead Soul’ is airy and atmospheric without losing its pulsing flow. ‘Isolation’ covers a broad spectrum and is filled with contrasts in which intense bass interacts with a delicate and breathy melody. Balance is key to Hunter/Game’s music and this EP is no exception. This October 2016, to mark its 10th anniversary Booka Shade will release an expanded re-issue of the era-defining and career-kickstarting LP Movements. 10 exclusive remixes from electronic music’s finest artists including Nils Frahm, Jonas Rathsman, Deetron, Eats Everything, Dennis Ferrer, Patrick Topping, M.A.N.D.Y, Andhim, Hunter Game and Chi Thanh of classic singles including “Night Falls”, “Mandarine Girl”, “Lost High”, “In White Rooms”, “Wasting Time”, and of course, “Body Language” will feature alongside the 2016 re-master of the original album. 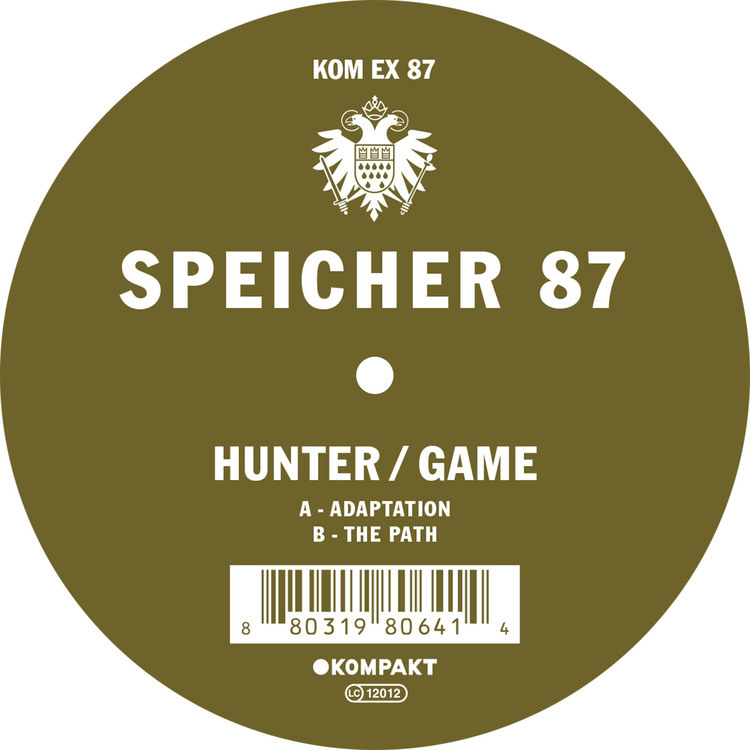 Hunter/Game released their debut full length on Kompakt in February – an immersive collection that followed their two Resident Advisor chart topping singles released on Kompakt Extra (Speicher 83, Speicher 87). With previous releases on Innervisions, Diynamic, Last Night On Earth and their own imprint Just This, this Italian duo have proved to be a leading force of the underground. Landside is the collaboration between Italian producers Hunter/Game and the Icelandic band Kúra. The sound draws as much from the deep vibe and melancholy ambience of Kúraʼs reflective, dubby moods, as the more insistent groove of Hunter/Game’s dancefloor roots. Landside’s forthcoming Chains EP is a melting pot of dub vibes, breaking leads, and melancholic vocals. An obscure path through secret prophecies, sewing new worlds, combining ash and bones. A born spell, takes you into uncharted lands, a journey up to a mirage of a desert lake. Axel Boman’s remix is fresh breath into a melancholic landscape, whose sonic shamanism hypnotizes you, and takes possession of your most magical vibration. Beacon’s Remix is a velvety story into a melody that cradles you in a soft dream while carrying a wild, free energy throughout. Known for dramatic dance tunes that previously found their way onto labels such as Innervisions, Last Night On Earth or global event brand / record imprint Just This, Italian duo Hunter/Game has evolved its sound into a uniquely expressive, yet subtly arranged variant of techno – music that confidently takes centre stage, but never puts the sonic means before its aesthetic goal. It is said that simplicity is the ultimate sophistication, and indeed nothing could be more applicable to Adaptation where the duo presents a full-length exploration of a distinct sound cosmos, at once coy and bold, and with each cut focussing on yet another artfully executed twist supplementing the no-fuss, all-impact setting of beats, bass and synths. Hunter/Game just unveiled a soundcloud preview & video teaser for the upcoming Christian Loffler “Lost” EP out soon on their imprint, Just This. Featuring exclusive remixes by Lake People and Nuno Dos Santos, this will be the young German producer’s debut on the Milanese label, out digitally December 11 with vinyl coming in February. Known for dramatic dance tunes that previously found their way onto labels such as Innervisions, Last Night On Earth or global event brand / record imprint Just This, Italian duo Hunter/Game has evolved its sound into a uniquely expressive, yet subtly arranged variant of techno – music that confidently takes centre stage, but never puts the sonic means before its aesthetic goal. Honing a satisfying punch and mesmerizing melodies, the two producers based out of Milan and New York have already turned in two installments for our Speicher dance couture series, with “Hexagon” (Kompakt Extra 83) reaching the coveted 31 chart of Resident Advisor’s monthly DJ Top 50 – all the while prepping an equally thrilling live set that feeds off a deep, hand-cranked groove in collusion with ebullient licks and percussive fervor. Contemplating biological evolution and the development of contemporary society side by side, the album’s track titles and sonic details refer to “the adaptation of the human being to the modern metropolis as well as the adaptation of music to a collective technological era that has become the manifesto of our generation“. While that might seem like a particularly broad and abstract scope for a techno album, it evidently informs its flow, from the gauzy Intro (Walking Unobserved) and the slowly unfurling, string- laden Declino to the sweeping title track, the brooding banger Origins or the lyrical, tribalistic Silver. Morphing ideas, melodies and textures with consummate ease, Hunter/Game constantly find missing links between sounds, switching from foreboding melancholy to glorious serenity in a heartbeat – while keeping the arrangements clearly outlined and impactful. With a background in painting, sculpture, architecture and a distinct interest in abstract expressionism, both Emmanuele and Martino are well-equipped to deal with complex concepts in an immediately comprehensible manner – as can be seen in the cover artwork for their own imprint Just This or for their album debut at hand: inspired by Moebius and M.C. 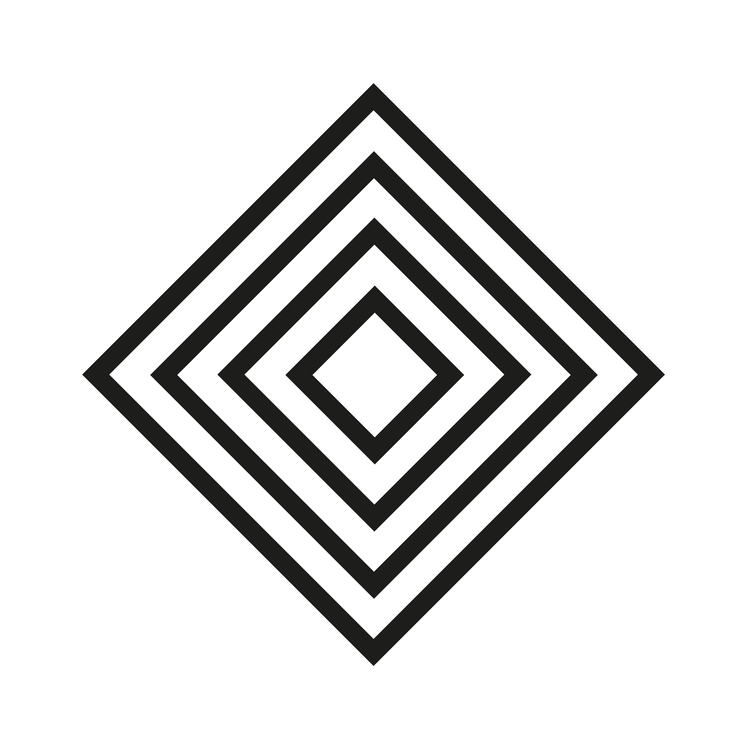 Escher, and produced in conjunction with long- standing creative partner Artiva graphic design studio, these deceptively simple forms aim to expand their two-dimensionality into a third dimension by pure imagination – “just like the music“, as the artists like to add. It is said that simplicity is the ultimate sophistication, and indeed nothing could be more applicable to Adaptation where the duo presents a full-length exploration of a distinct sound cosmos, at once coy and bold, and with each cut focussing on yet another artfully executed twist supplementing the no-fuss, all- impact setting of beats, bass and synths. Hunter/Game – Adaptation LP is out 05 February 2016 on Kompakt Records. Wrapping up a short summer break, Speicher returns with a powerful double bill from rising duo Hunter/Game. It’s the Italian producers’ second contribution to the series, after having amassed quite a few nods with sneaky club anthems “Hexagon”and”Bermuda” (Kompakt Extra 83). This was followed by their strong rework of Weval’s “Gimme Some” – a much- acclaimed highlight of our Total 15 compilation (Kompakt 340 cd 125). The new material sees them digging even deeper into the hardware circuits while cranking up the momentum a notch or two: opening banger ‘Adaptation’ doesn’t feel the need to ease you into the experience, dropping you right in the middle of its frenzied staccato synth throb instead. Meanwhile, ‘The Path’ opts for rich, saturated colors and epic melodies, slowly building its case until it’s ready to blow its lid. These are two extraordinary techno tunes that will command your attention and leave no floor unturned – an essential release for both the label and the artists. Both tracks are taken from their new album forthcoming on Kompakt in February. They’ll be performing their first ever live show during Kompakt’s label night at ADE. More info here. Landside Part II, the second EP from Hunter/Game’s new band project with Kúra, is out nowfollowing a full EP stream via XLR8R last week. 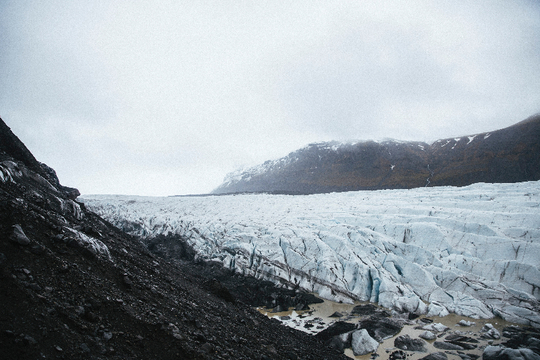 Landside is the first collaboration between Italian producers Hunter/Game and Icelandic duo Kúra. Kúra’s electronic dub work and Hunter/Game’s techno and house roots form deep, melancholic ambient music with an intense central groove, as Fanney Osk’s vocals interweave with melodic synths. Landside is a visionary journey into ranges of uncharted soundscapes, merging abstract atmosphere with boundless emotion. Landside Part II continues the journey begun on Landside Part I; Extrawelt’s remix of “Wasteland” dances between dub emotion and breakbeats on a visionary path through soundscapes and abstract atmospheres. Avatism remixes “Lost Soul” with a solid groove and techno base that tease the track to an intense, breathless flow. Stay tuned for more music and remixes from Landside on Hunter/Game’s label, Just This.